ICH Blog: Project Updates: What traditions are important to you? Project Updates: What traditions are important to you? On February 17th we launched the TRADITIONS AT RISK survey. The project has been warmly welcomed by over 100 people! Thank-you! On February 18th we reached the 50 mark! In less than 24 hours, we had 50 people take part! Well done, Newfoundland and Labrador! 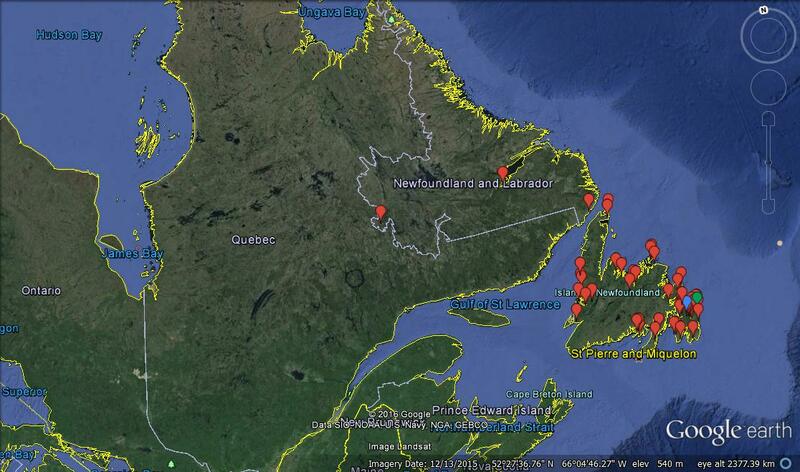 Check out the map to see where the responses have come from (updated every day at 4:30pm). 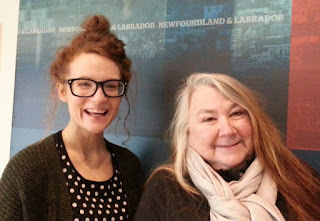 On February 22nd I spent the noon-hour with Pam Hall (pictured right) and Ramona Dearing on CBC's Cross Talk. Sarah Baikie, a grasswork artist from Rigolet, and many others across the province shared their thoughts on traditions at risk. You can check out that conversation HERE. To get a peek at the beautiful (and onerous) process behind grass work art: check in with Them Days HERE. 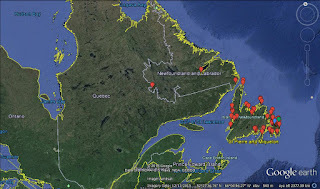 On February 23rd I began tracking the locations of survey responses using Google Maps. Check out the MAP (pictured below) on the ICH at Risk page! Don’t see your community? Complete the survey to make sure the intangible cultural heritage in your community is represented! On February 24th we hit the 100 mark! Thank-you to everyone who has participated so far. We reached our first goal! Our next goal is 200 respondents by March 2nd! We can do it!